Daniel Waters is an author that the Recommender really enjoys. He was one of the first YA writers to use zombies in a completely original and believable way in the fictional reality of the world he created around teens living and "living impaired" in the Generation Dead series. 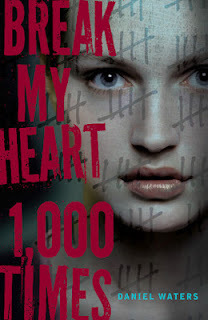 He is also great at writing girl characters who come across as real whether they are zombies or goth girls or a girl like Veronica, or Ronnie as she's called, the protagonist in his new book, coming this October, with the best title I've heard in a while Break My Heart 1,000 Times. Break My Heart takes place in a world and time after a horrifying disaster referred to as the Event, a sort of 9/11 type catastrophe. 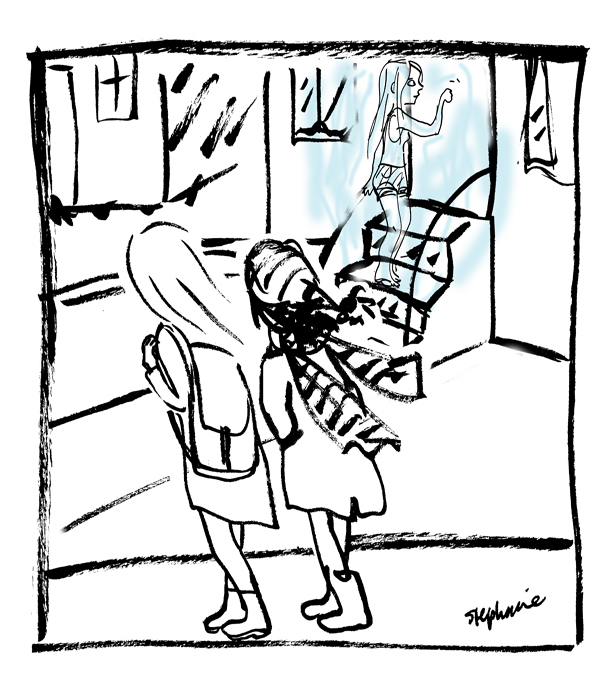 The world in which Veronica and her mother reside is a world filled with ghosts. Many are the ghosts of those who perished in that event, but many just appear at random. Some appear on a daily basis, like Ronnie's Dad who went into the city on the day of the Event and never returned, though his image appears every morning at the breakfast table, reading the paper and sipping coffee for several minutes before vanishing to reappear the next morning. It's unnerving, to say the least, but Mr. Waters embodies the disembodied with an empathy that makes you feel it's completely natural to see ghosts continuing to collect the mail in their bathrobes, or show up in your bathroom while you're having a shower or... day after day knock on the door of your history teacher, the guy who lives down the street. 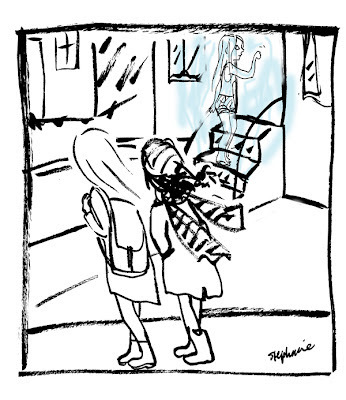 Ronnie escapes the ghost of her family life by serial dating guys from school. She doesn't want anything too complicated, but then finds herself attracted to the nice, smart and cute Kirk. Not her usual type, but there's something about him. He's kind and attentive, in a good way, so when their English teacher, a man with a ghost fixation encourages Kirk to film some of the ghosts around town for extra credit, Ronnie joins him on an investigation that uncovers mysteries long unsolved. This is, honestly, a book you won't be able to put down. I found myself thoroughly immersed in this world of ghosts and the human horror living among them and adding to their population. It has one of the creepiest villains imaginable and even he gets some sympathy from the author! There are moments where you'll find yourself yelling at your book, or Kindle, or what have you, warning the characters of what lies in wait! That doesn't happen too often. And neither does a haunting story like this one! Letters to Erik: Love Never Dies!